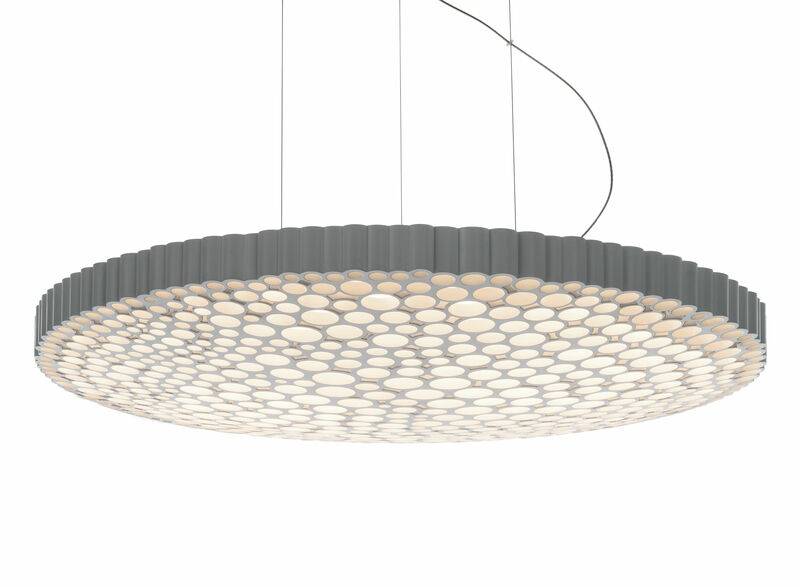 Dimensions : Diffuser: Ø 52.6 x H 7.5 cm - Ceiling rose: Ø 33 x H 5.6 cm - Cable: L 200 cm max. The Calipso ceiling light is a hi-tech piece of organist, futuristic poetry. It boasts an incredible alveolar texture obtained using a cutting-edge technological process. A random assembly of tubes in different diameters forming a complex network of what looks like living matter. Its honeycomb structure is created using digital software reproducing the moon’s surface. Calipso is an ode to nature’s irregular beauty. A multitude of uneven circles creating a glittering, lunar appearance. The honeycomb structure also casts a homogeneous and comfortable light.